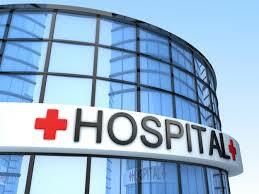 Description: Ranka Hospital is the multi specialty orthopedic hospital in Swargate. It is popularly known for being specialists in knee & hip replacements, sports surgery, arthroscopy, spine surgery and trauma management. The hospital is well-equipped with 100 beds for patient-care and has 24 hours emergency services. It has 24 hours drug store and a pathology laboratory to carry out tests and get results quick. The radiology department has diverse equipments. 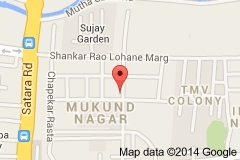 They also have a 24×7 hours ambulance services. The hospital has an affordable range of health packages in case patients want to club check-ups, and these packages start from as low as Rs. 270. There are several related tests combined in each package category and in case of any further packages to be availed, the patients could consult the concerned point of contact. Accidental care is also provided to its patients and there is provision for free health checkups for children. For the convenience of the patients, this hospital has in-house catering facility, a 24 hours open pharmacy, and also helps in arranging for hotel stay for any relatives of patients coming along. Plastic surgery, neurology, urology, spine surgery and liposuction are successfully carried out in Ranka hospital.